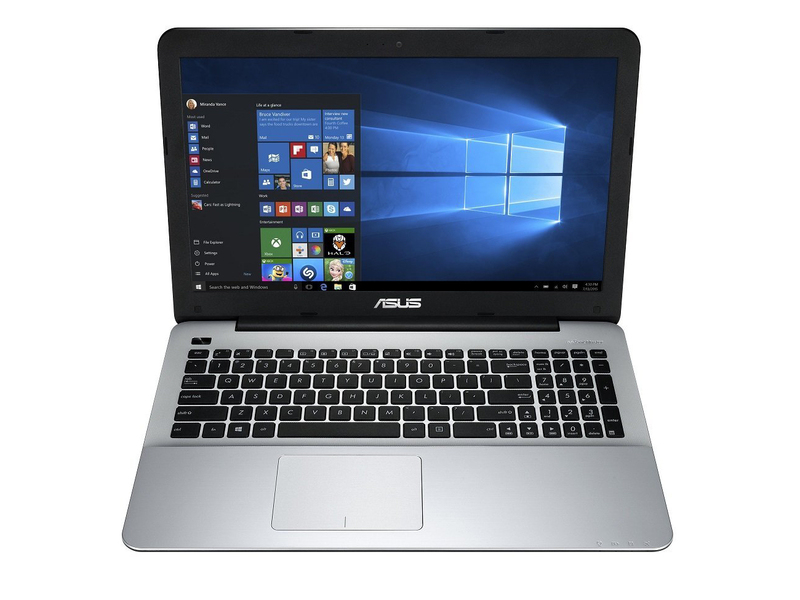 Model: The Asus F555UB-XO043T is a laptop designed for office productivity on-the-go. The Microsoft Windows 10 64-bit Home system features a 2.3 GHz Intel Core i5-6200U processor, an Nvidia GeForce 940M graphic card, 8 GB DDR3-1600 dual channel RAM and a 1 TB Seagate Momentus Spinpoint M8 ST1000LM024 hard disk. It sports a 15.6-inches AU Optronics B156XTN04.6, TN LED display with a resolution of 1366 x 768 pixels. Nothing much can be said about the screen that it is quite decent to look at. As there is an Nvidia GeForce 940 graphic card installed on the laptop, it is suitable for playing some games like BioShock Infinite, Star Wars Battlefront, Just Cause 3 and a few more titles. Some of these games can only be played on minimum and medium settings. The connectivity includes two USB 3.0 ports, a USB 2.0 port, an HDMI port, a VGA port, an SDXC memory card reader and a DVD-RW optical drive. The laptop has a weight of 2.1 kg and the battery life can last up to 8:27 hours when using office applications and 5:55 hours when watching videos. 69.45%: This rating is bad. Most notebooks are better rated. This is not a recommendation for purchase.